We grabbed your attention didn’t we? Hello! 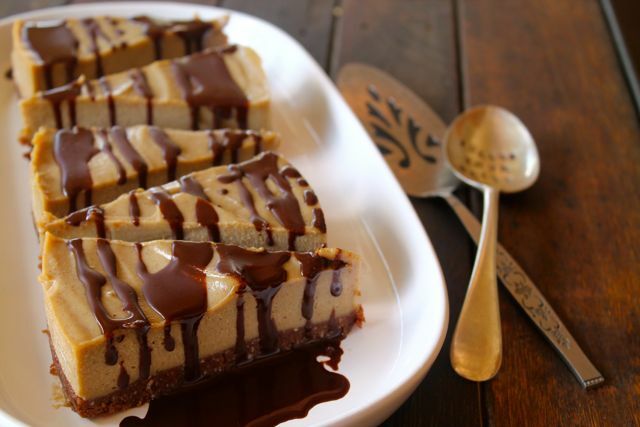 Hello little raw salted caramel cake you should #getinmybelly. Are we right… or are we right? Really anything with the words salted and caramel in it is guaranteed to be amazing! We’ve already shared our Paleo Salted Caramel Smoothie (drool!) but this baby takes the cake! 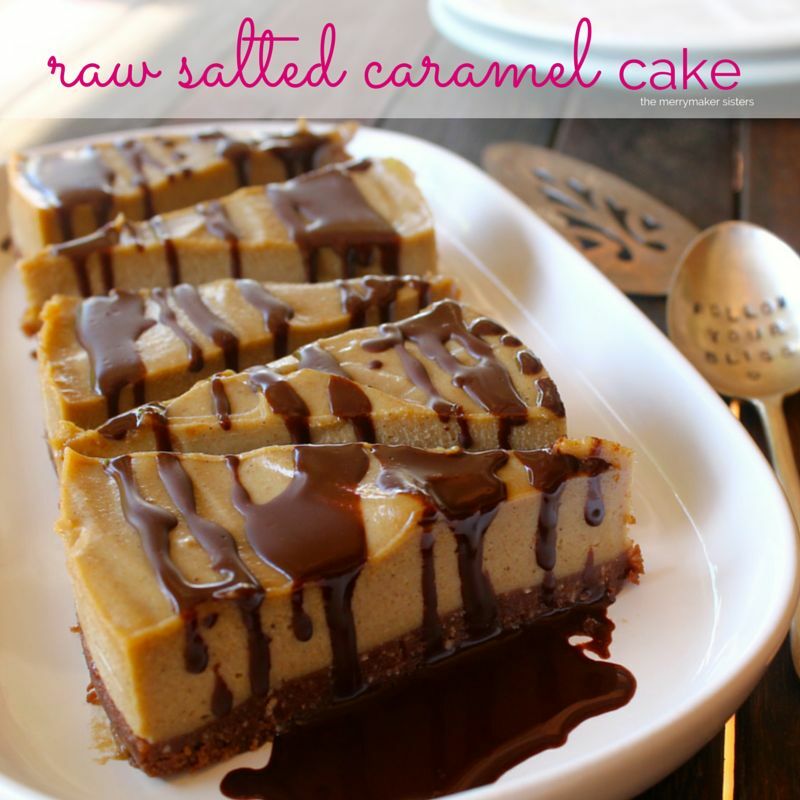 It might just be the best Raw Salted Caramel Cake ever! We topped this cake with half a batch of our paleo chocolate (to make it more fancy and more delicious!). Line the base of a 20 cm spring form cake tin with baking paper and grease the edges with a little coconut oil. In a food processor (we use our Vitamix), place the walnuts, coconut and raw cacao powder. Whiz these ingredients until a fine meal forms. Add the coconut oil and dates and whiz until it becomes a choc butter. Once it’s all combined, press the base in to the cake tin, making sure you press it out evenly, covering the entire base. Drain and rinse the cashews and place them in to the food processor along with the coconut milk, dates, coconut oil, salt and vanilla. Take the base out of the freezer and pour the filling on top of the base. Shake the tin to even out the top and place the cake in to the freezer for around 1 1/2 hours or until set. Take the cake out of the freezer and let sit for 10 minutes. Meanwhile, time for the topping! You'll need to make a 1/2 batch of paleo chocolate. Rub the outside of the cake tin with a hot cloth and release the spring form slowly (you may need to run a knife around the edge). Cut in to slices with a hot knife and store any left overs in an airtight container in the fridge or freezer.